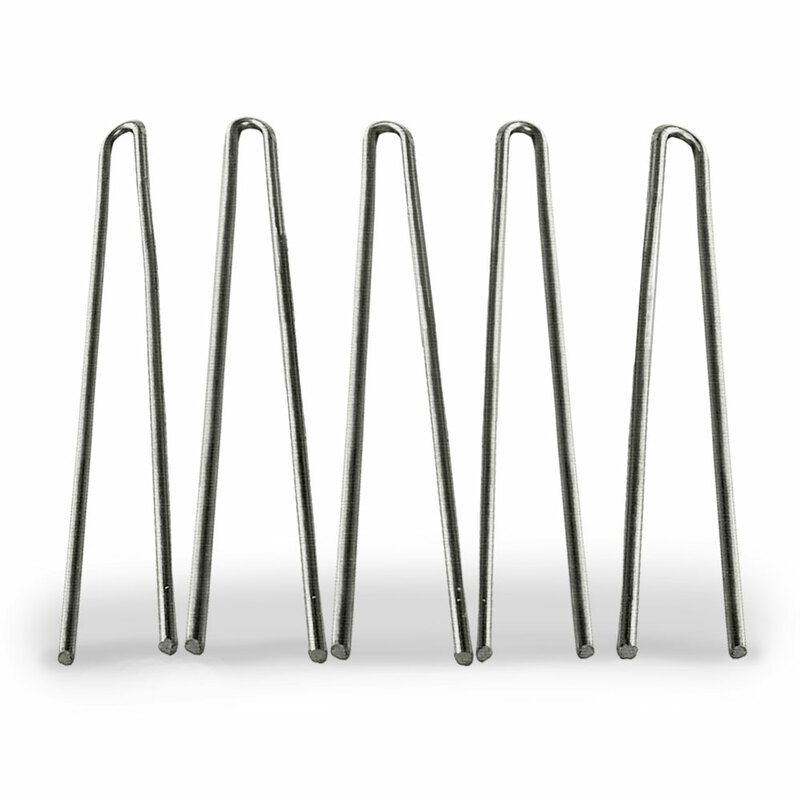 Use our durable RawEdge Hairpin Stakes to securely hold edging in place. Each package includes 5 hairpin stakes. Our raw finish is not plated or powder coated, allowing a natural patina to develop over time. Long, durable hairpin stakes keep our edging in place. Our 10-inch RawEdge Hairpin Stakes are made from 8 GA wire rod and are used to keep our TerraEdge, RawEdge and PerfEdge edging products in place. These sturdy and strong stakes are not plated or powder coated, allowing a natural patina to develop over time. Comes in a set of 5.